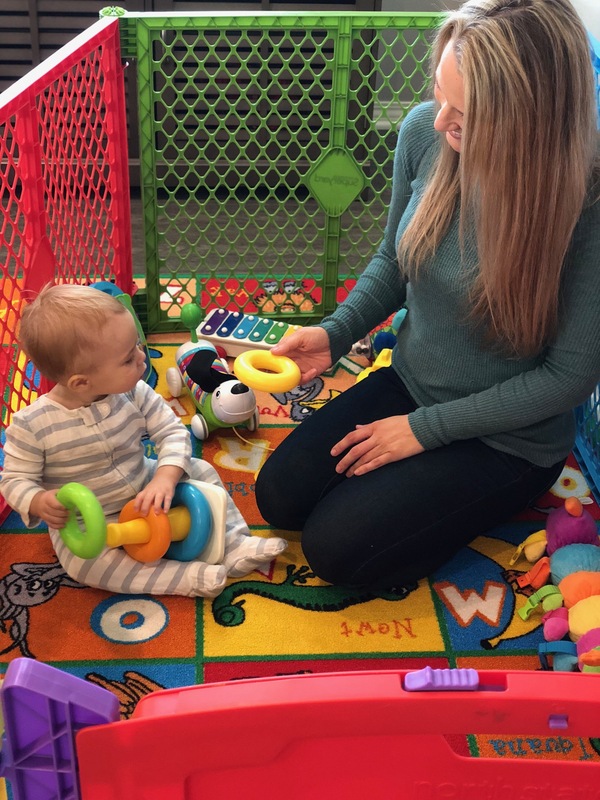 As a mom and child play therapist, I often get asked questions about child development. It is very common for parents to wonder what they can do to achieve the ultimate level of mental, emotional, and social stimulation for their child. My answer varies, depending on the child and their age and their developmental and cognitive abilities, but one aspect remains the same, children benefit from colors and from more ways than you may imagine! Even when babies are in the womb, they can tell the difference between light and dark. And although newborns can only see black, white, and gray, it only takes a few short months before a baby will be able to see in color! I recall both of my children reacting to color and light as early as a few weeks old. As they both grew, light and color took on more meaning and became focal points for identifying objects and learning tools to process emotions. The first few years of a child’s life is known for a tremendous amount of brain growth. These first few years are a vital time to teach your child shapes, colors, names of objects, and feeling identification. Their brains are like sponges taking in all their environment has to offer! And color is an essential building block that enhances mood, productivity, learning, and behavior! In fact, there has been research that shows what color you paint your child’s room or your office will affect your mental and emotional state, mood, balance, and productivity! Blue and green tend to be more calming and healing colors while red and orange stimulate more stress, aggression and intensity. In the therapy room, I have often used colors to identify a child’s feelings in order to process their emotional and mental wellbeing. Children will associate different colors with different moods. For example, red is often identified with anger. Blue often represents sadness. Yellow is happy and green is scared. I have incorporated coloring exercises and games to help children talk about color from an internal and insightful perspective. Colors are easy for young children to relate to, even as young as early toddlerhood. So many infant toys are colorful and associated with color connections in some way. Whether it’s a color sorting toy, stacking blocks, or a puzzle, color plays a huge role in an infant’s life. It helps infants make sense of their world and helps prepare them for abstract thinking as they grow and learn about their world. And how often have you played “eye spy” with your toddler? Children observe and categorize colors and objects to better make sense and understand the world around them. This abstract way of thinking helps children benefit from the colors around them to help them with their social and emotional development. Color also helps preschoolers in relation to cognitive development. Learning the difference between light colors, dark colors and shadows helps the application of other abstract thinking in their brain to other life skills. Have your child color five pieces of paper, each one being a different color. I suggest blue, red, yellow, green, and orange or black. Even if your child cannot spell, write, or read yet, have them identify each color with a different emotion. I recommend using happy, sad, scared, mad, and either nervous or excited! Once you both know what each color means, take the pieces of paper, turn them over, and place them on the ground. I may even tape them so they can’t slide around, but only tape them on one side so your child can easily see the other color side if they turn the paper over. Once all of the papers are in place, tell your child to jump on one of the pieces of paper. Once they do, have them reach down and flip the paper over to see what color they landed on. Let’s say, for example, that blue means sad. If they land on blue, ask them to tell you something that has made them sad. You can process this with your child as you go throughout the game and as they land on each color. This will improve your attachment with your child as well as improve their emotional awareness and mental wellbeing as well as build their language and communication skills! Plus they are able to have fun and release some energy!